The pRoloc suite set of software offers a complete software pipeline to analyse, visualise and interpret mass spectrometry-based spatial proteomics data such, for example, as LOPIT (Localization of Organelle Proteins by Isotope Tagging), PCP (Protein Correlation Profiling) or hyperLOPIT (hyperplexed LOPIT). 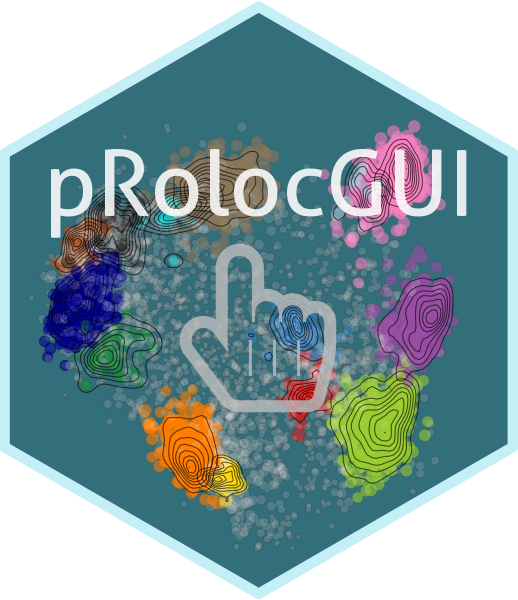 The suite includes pRoloc, the mail software that focuses on data analysis using state-of-the-art machine learning, pRolocdata, that distributes numerous datasets, and pRolocGUI, that offers interactive visualisations dedicated to spatial proteomics. The software are distributed as part of the R/Bioconductor project. The pRoloc software comes with ample documentation. The main tutorial provides a broad overview of the package and its functionality. See the Articles tab for additional manuals. pRolocGUI also offer several documentation files. 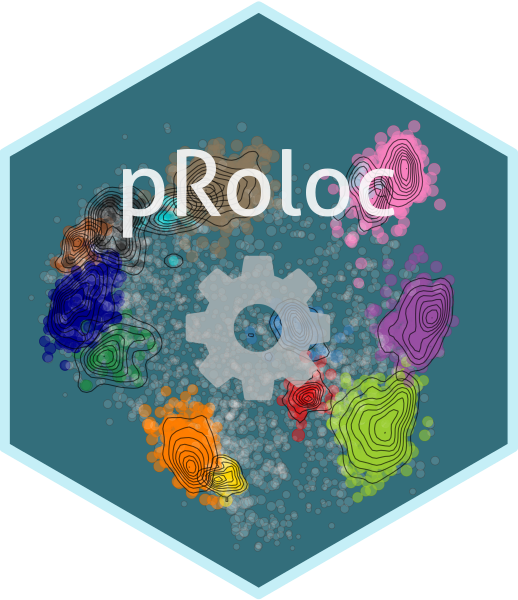 Here are a set of video tutorial that illustrate the pRoloc framework. Post your questions on the Bioconductor support site, tagging it with the package name pRoloc (the maintainer will automatically be notified by email). If you identify a bug or have a feature request, please open an issue on the github development page. The pre-release/development code on github can also be installed using BiocManager::install, as shown below. Note that this requires a working R build environment (i.e Rtools on Windows - see here). New pre-release features might not be documented not thoroughly tested and could substantially change prior to release. Use at your own risks. Gatto L, Breckels LM, Wieczorek S, Burger T, Lilley KS. Mass-spectrometry-based spatial proteomics data analysis using pRoloc and pRolocdata Bioinformatics. 2014 May 1;30(9):1322-4. doi: 10.1093/bioinformatics/btu013. Epub 2014 Jan 11. PubMed PMID: 24413670. Breckels LM, Gatto L, Christoforou A, Groen AJ, Lilley KS, Trotter MW. The effect of organelle discovery upon sub-cellular protein localisation J Proteomics. 2013 Aug 2;88:129-40. doi: 10.1016/j.jprot.2013.02.019. Epub 2013 Mar 21. PubMed PMID: 23523639. Contributions to the package are more than welcome. If you want to contribute to this package, you should follow the same conventions as the rest of the functions whenever it makes sense to do so. Feel free to get in touch (preferable opening a github issue) to discuss any suggestions. Developed by Laurent Gatto, Lisa Breckels, Oliver Crook.